Chicken & Egg: Which comes first? Diversity or Inclusivity? We live in an uneasy social climate. 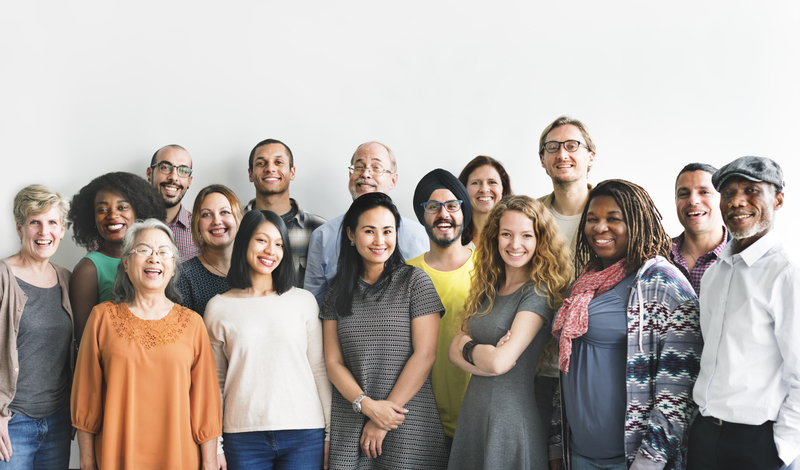 The political upheavals of recent years have done little to foster an atmosphere of inclusion and diversity, and yet that’s the conversation we – as an industry, and more widely as a society – need to have. Since diversity is probably the factor that fuels and fires our creative inspiration the most, not only conversation but action needs to take place sooner rather than later, and regularly. However, working from the viewpoint of an end result isn’t the right fix, as those groups needing greater inclusive spaces become nothing more than their own game of finding the right fit for the puzzle pieces. In terms of the wider workplace, it’s nearly fifty years since the UK’s current equality regulation was passed. The rules by which our equal status is guaranteed as regards our working lives was never going to be an overnight fix, but a quick look at any number of recent popular hashtags on Twitter, or news stories covering discrimination or unfair dismissal should show us that we haven’t moved on. The Equal Pay Act of 1970 seems to do little more than guarantee that you too can suffer from the myriad loopholes that still exist to enable an employer to pay you far less than someone ‘more equal’ than you for doing the same job. And that’s not just a gender pay gap; your ethnicity, sexuality, religion, size, age, class, or any other difference that your employer perceives makes you ‘less than’ will affect where you sit on the pay scale. Before you know it, you’re working twice as hard to be perceived as half as good. Diversity is, by definition, diverse. The synonyms give a wider picture, with words such as assortment, variety, medley and range all implying a whole that is far greater than the sum of its parts. Society, in fact. Diversity enriches us, and everything else being equal, that should in turn lead to society being more inclusive, with equal opportunities for all, regardless of social class, ethnicity, sexuality, religion, disability, or gender. Society aside, that kind of inclusivity – or lack thereof – in the workplace is where we’re falling down. Prejudices assert themselves in the most unlikely places. Hollywood still comes under regular fire where casting could be absolutely neutral, and is still overwhelmingly straight, white, non-disabled, and male. Quotas, on the other hand, can have the unintended effect of whittling the pool down further. First, level the playing field, and even up the goal posts. Opportunities are persistently and consistently denied to vast numbers of people for who the playing field is always uphill. In addition, they don’t have the right kit, and they’re playing in borrowed shoes. If they get to the top of that hill, they often find that the goal is blocked. The -isms that stop people succeeding are overt and covert, and we need to do better. If the show isn’t over until the fat lady sings, and the fat lady can’t even get hired in the first place, the song of talent overlooked will go on forever. Again, we need to do better. Daily life – not just professional life – is full of barriers. They’re there to a greater or lesser extent for all of us, but the uncomfortable truth is that for BAME, gay, and working class applicants, there’s a battle ahead. It often ends up making them much more rounded and interesting artists, but the road is hard. Not even ticking all those awkward equal opportunities quota boxes is going to help when you progress further along your chosen career path and find that the straight, white middle classes are still there ahead of you. Not only do they get their foot through the door first, it often shuts firmly behind them. This isn’t just confined to the workplace. That’s just the trickle-down effect of socioeconomic and cultural barriers to everyday ‘joining in’. If those career paths, and career mentors and role models aren’t presented at the very earliest stages of education, then the balance will never change. If you don’t just tell a child that those opportunities are there for them too, but show them, the balance will never change. If there’s no target, then there’s no point in taking aim at all. And that’s where By Voice Alone can start to make a difference. A round of blind auditions will ensure that the most engaging, exciting voices get through. The voices that connect with us, as an audience. The biggest advantage to blind auditions is that the panel can’t make value judgements based on a piece of paper, a good school, a famous teacher, or an existing professional reputation. Many international orchestras have been selecting based on blind auditions since the 1970s; in the first instance, an effort to eliminate gender bias, but also to remove the barriers of race and class – usually indicated on paper by someone’s training (or formal lack thereof). Put up a screen, and all you have is the instrument. If someone can do the job, they can do the job. That should always be the major factor under consideration, even in opera where at least part of the deal is that a singer has to be physically believable in a role. However, people in all their infinite variety fall in love and have adventures every single day. Putting that on stage doesn’t detract from the audience’s enjoyment of and connection with the story, it makes it real. And accessible. And accessible means open to those who might not previously have connected with the art form. Disability shouldn’t be a barrier either; again, if someone can do the job, they can do the job. Putting society in all its variety on stage makes art come alive. Just as the problems and prejudices didn’t happen overnight, nor will the change come overnight. One competition with a single round of blind auditions isn’t going to wipe out discrimination and usher in a golden era of diversity in the industry. The conundrum is much bigger than that, and is the classic chicken and egg – the end goal might be diversity, but the starting point is inclusivity. Which comes first? We have started a competition open to absolutely everyone, from those who sing purely for their own pleasure, right through to those ready to step on a professional stage at a high level. The opportunity is there for everyone to be heard in the same space – that equality of opportunity is beautiful. Many of those who have entered the competition find it difficult to get auditions for a variety of reasons. Some have contacted us to say that they expected nothing from the competition whatsoever, that they simply wanted to take part in the project, that they valued being heard and have found that the genuine expectation was that the panel wanted nothing from them other than to be the best they could be. 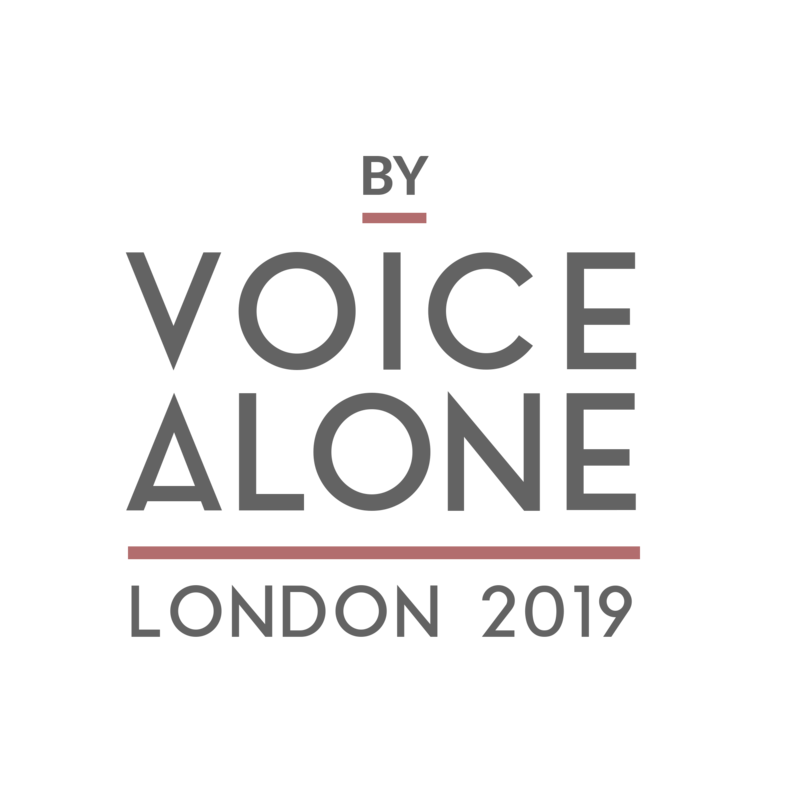 By Voice Alone is not about causing even more exclusion and division by attempting to create diversity; the goal is to create diversity by providing that inclusivity, that equal space for all. It’s tempting – and all too easy – to provide a sticking plaster, but since we’re about the long game we’re looking to improve knowledge and access to classical singing for all. This in turn should foster the general public’s interest in supporting the singers they come into contact with, and in opera as an artform. Our plans don’t stop here – we can’t wait to share the journey with you.